Summer Reading Picks for You! Summer’s upon us, and we’re here to help you choose the right Latin@ kid-lit for your young readers. Putting together a fun and useful list was a matter of posing six questions to our contributing book specialists, Lettycia Terrones, Cecilia Cackley, Marianne Snow and Sujei Lugo. We love the variety and originality of their answers and bet you will too. Take this list to your local library or bookstore and stock up! 1. Is there a brand-new release you can’t wait to get your hands on? 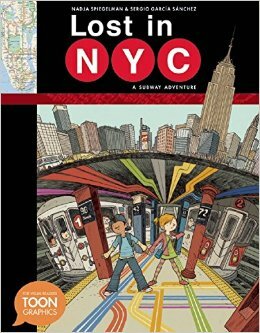 Lettycia: Lost in NYC: A Subway Adventure, a TOON Graphic release written by Nadja Spiegelman and illustrated by Sergio Garcia Sanchez. It tells the story of a group of kids on a New York City field trip. Things go haywire when Pablo gets separated from the rest. This title will also be released in Spanish. At TOON Books, get a glimpse of the stunning illustrations. 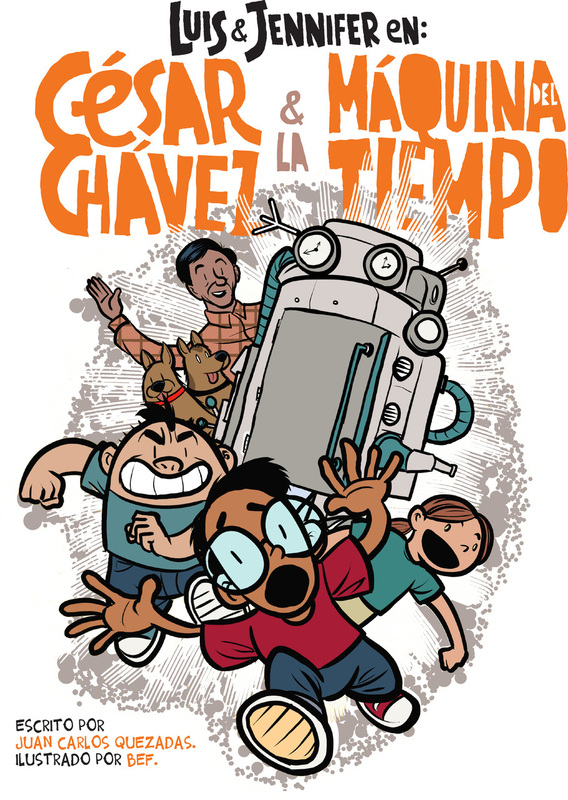 Lettycia: Luis y Jennifer en: César Chavez & la máquina de tiempo, by Juan Carlos Quezadas and Bernardo Fernández. Written in Spanish, this book follows time travelers to 1966, where they encounter adventures in the vineyards of California during the height of César Chavez’s campaign. For purchasing information, go to LA Librería. 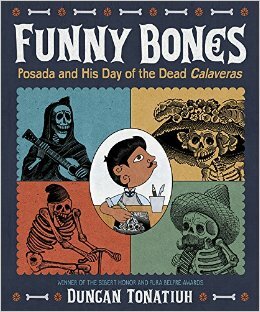 Sujei: Funny Bones: Posada and His Day of the Dead Calaveras, by author-illustrator Duncan Tonatiuh. Here, Tonatiuh lends his artistic power to the amazing story of the 19th-century Mexican artist José Guadalupe Posada, whose calavera drawings have become synonymous with El Día de los Muertos. For more information, see Abrams Books. Sujei: The Great and Mighty Nikko! 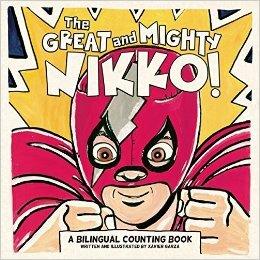 A Bilingual Counting Book, written and illustrated by Xavier Garza. It’s bedtime, but Nikko must first wrestle masked luchadores! How many of them are there? Uno, dos, tres…Learn more at Cinco Puntos Press. 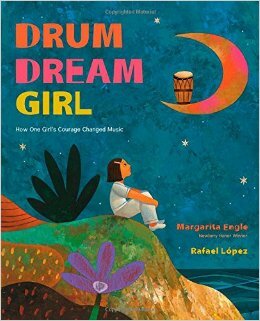 Three of our contributors chose Drum Dream Girl: How One Girl’s Courage Changed Music, written by Margarita Engle and illustrated by Rafael López. It’s based on the true story of Millo Castro Zaldarriaga, a young Cuban in the 1930s who defied the social stigma against female drummers. Marianne says, “I’ll read anything that Margarita Engle writes and Rafael López’ illustrations are sumptuous.” Cecilia and Sujei feel much same, and apparently, so does Kirkus! 2. Oldies, but goldies! Which classic book do you wish every kid would read? 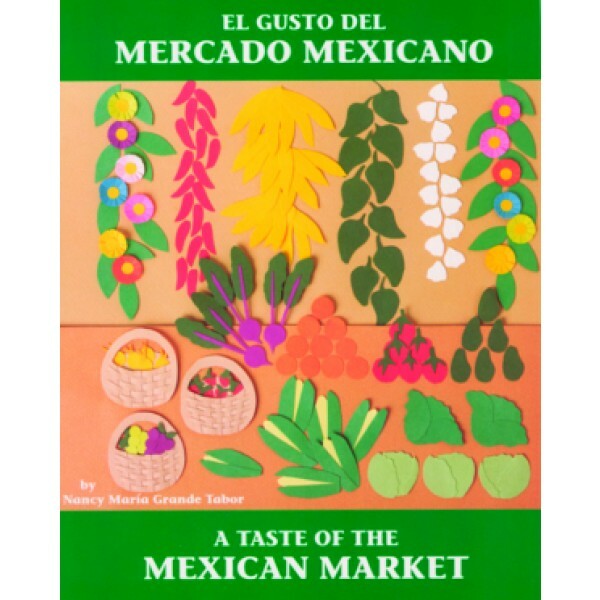 Marianne: El gusto del mercado mexicano/ A Taste of the Mexican Market, by Nancy María Grande Tabor. Marianne: “This book beautifully weaves together math, science, and culture as the author takes readers on a tour of a traditional Mexican market.” For a peek at the gorgeous interior of this award-winning book, go to the official Charlesbridge page. 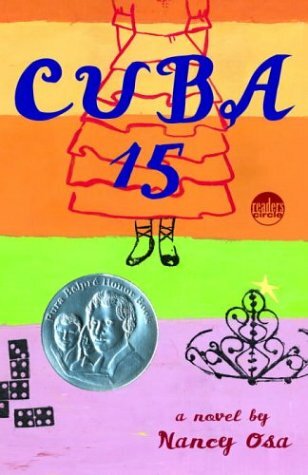 Cecilia: Cuba 15, by Nancy Osa. Nudged by her grandmother, a Cuban-American girl reluctantly dives into preparations for her quinceañera. Click here for more information on this multiple award-winner. 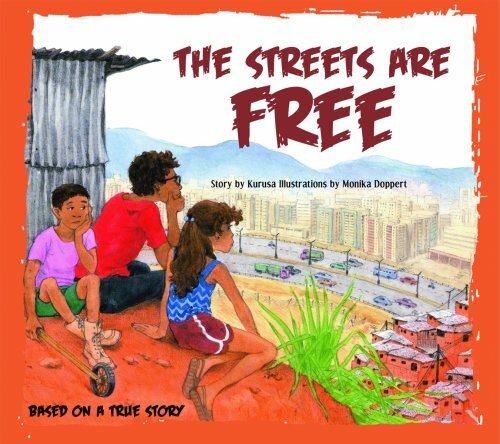 Sujei: The Streets are Free, by Kurusa. Kids in a Venezuelan barrio realize that if they’re ever going to get a playground, they’ll have to build it themselves. This inspiring book is based on a true story. Learn more at Scholastic. 3. Is there an adorable picture book you’d like to remind readers about? 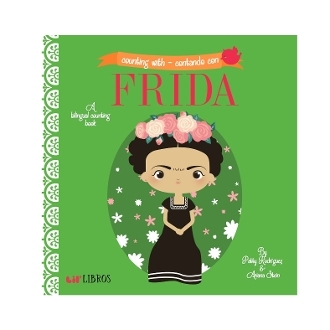 Sujei: Counting with Frida/Contando con Frida, by Patty Rodriguez and Ariana Stein. It’s a bilingual board book from Lil’ Libros that employs images inspired by the Mexican painter Frida Kahlo to teach counting. Looks irresistible! 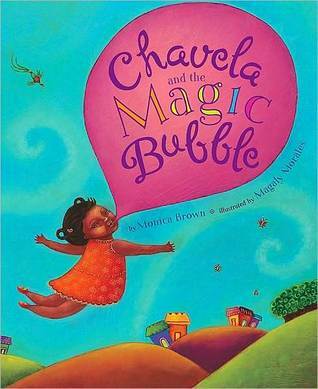 Marianne: Chavela and the Magic Bubble, written by Monica Brown and illustrated by Magaly Morales. This book takes readers on a magical ride to the sapodilla tree, the source of chicle, essential to the manufacture of chewing gum. “You can’t go wrong with colorful illustrations, magic realism, a sweet family story, and bubble gum,” Marianne explains. Check out this review on La Bloga. 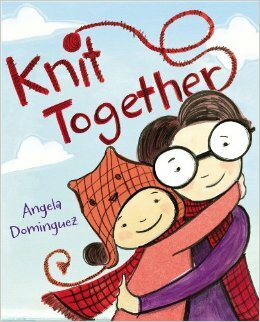 Cecilia: Knit Together, by Angela Dominguez. It’s the story of a collaboration between a knitting mom and a daughter who draws. The adorable illustrations pay tribute to the textures and colors of yarn. See more on Angela’s website! 4. Everybody has at least one fabulous book on their must-read list. What’s yours? Marianne: Alamo Wars, by Ray Villarreal. 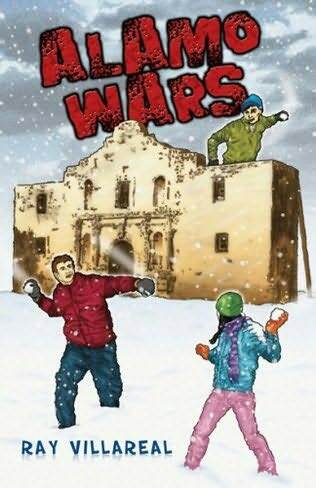 “I’m immensely interested in Texan history and multiple perspectives (Tejano, Mexican, Anglo) about historical events, and this middle-grade book tackles those topics by exploring how a school struggles to address controversial representations of the past when they put on a play about the Battle of the Alamo. Should be fascinating!” Here’s the book’s page on Amazon. 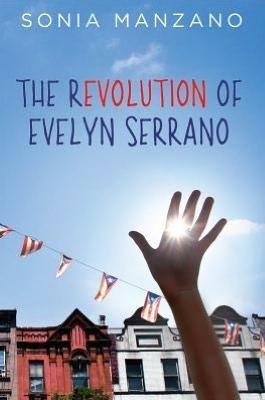 Sujei: The Revolution of Evelyn Serrano, by Sonia Manzano, of Sesame Street fame. Evelyn is a Puerto Rican girl living in New York City’s Spanish Harlem, and coming of age just as the activist group known as the Young Lords is creating literal and political heat in the barrio. Read the Latin@s in Kid Lit review here. 5. Which book have you found impossible to put down? In fact, you’re sure somebody should make a movie of it! 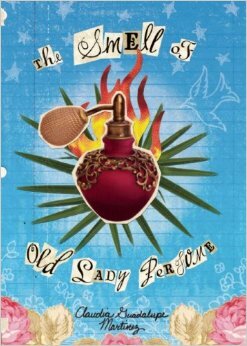 Marianne: The Smell of Old Lady Perfume, by Claudia Guadalupe Martinez. She says, “Martinez’ novel addresses subjects like family, loss, and friendship with grace, warmth, and understanding, and reading it felt like coming home.” This novel garnered a long list of honors for its portrayal of a young girl whose life in a Texas border town undergoes upheaval when her father suffers a stroke. Read more on the Cinco Puntos site. 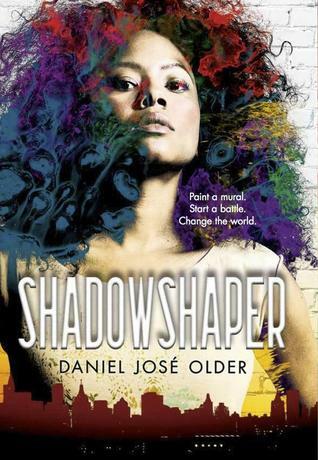 Cecilia and Sujei both got hooked by Daniel José Older’s debut YA novel, Shadowshaper– a mystical fantasy thriller starring Sierra Santiago, a 15-year-old Brooklyn girl of Afro-Caribbean heritage with supernatural connections. Publishers Weekly gave it a solid thumbs up. 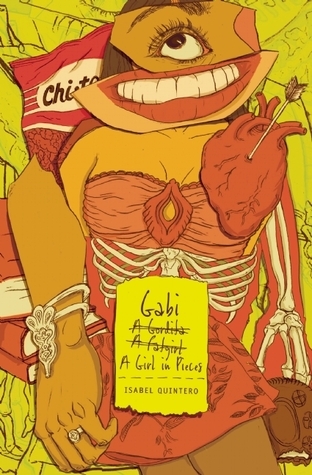 Sujei: Gabi, a Girl in Pieces, by Isabel Quintero. The author took the book world by storm in 2014, crafting her main character through strongly voiced and often humorous diary entries. Gabi is a Mexican American high school girl whose friendships, romantic crushes and family troubles create a dramatic mix. Here’s our book talk. 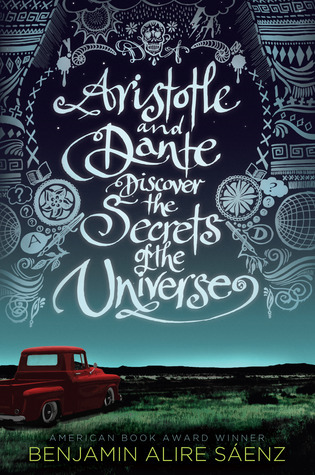 For this category, Lettycia seconded the nomination of Gabi and also chose Pura Belpré winner Aristotle and Dante Discover the Secrets of the Universe, by Benjamin Alire Saenz. It’s the moving story of the tight friendship and blossoming romance between two Latino boys. Here’s our review. 6. And now for the “wild card”– a category of your making. Cecilia is ready to turn two recent books into plays–Niño Wrestles the World, by Yuyi Morales, and Drum Dream Girl, discussed above. 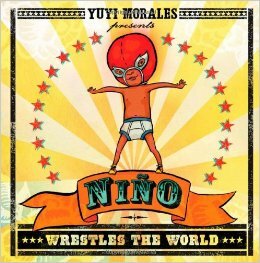 Niño Wrestles the World is one of the most celebrated picture books in Latin@ children’s literature. Click here to read Sujei’s review and here, for Lettycia’s examination of the story’s fable elements. 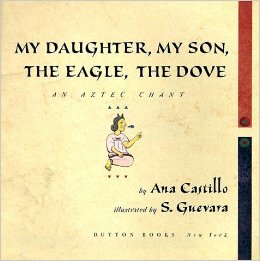 Lettycia described her “wild card” choice as the “best book for parents to read with their kids.” It’s My Daughter, My Son, The Eagle, The Dove, written by Chicana poet Ana Castillo and illustrated by Susan Guevara. The book celebrates milestones in a child’s and family’s life. It’s an homage to traditional Aztec chants and includes art inspired by Aztec culture. See it at Barnes and Noble. The final wild-card suggestion is in the category of poetry. 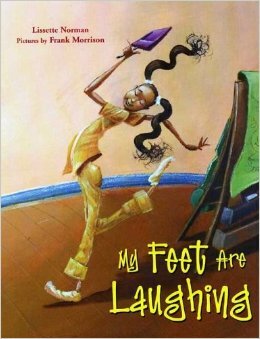 In Sujei’s words, My Feet Are Laughing, by Lissette Norman, is “a poetry book that celebrates family and life in the city.” Sadie, the main character, calls New York City home. The poems highlight Dominican American life in the neighborhoods of Harlem. Here’s a review from Rhythm, the Library Dog! For additional suggestions, check out this reading list from Edi Campbell and friends. It’s built around diverse books of all types, not just Latino reads. And at Latinas 4 Latino Lit, take advantage of a summer reading program designed especially for Latino families. Cecilia Cackley is a performing artist and children’s bookseller based in Washington DC, where she creates puppet theater for adults and teaches playwriting and creative drama to children. Cecilia’s interests include literacy, immigrant advocacy and bilingual theater. Sujei Lugo has studied and worked in children’s library services in Puerto Rico and Massachusetts, where she is currently working toward her Ph.D. in Library and Information Science from Simmons College. Marianne Snow is a doctoral student at the University of Georgia, where she researches Latin@ picture books, representations of Latin@ people in nonfiction children’s texts, and library services for Spanish-speaking children and families. Lettycia Terrones serves as the Education Librarian at the Pollak Library at California State University, Fullerton. Her research interests are in Chicana/o children’s literature and critical literacy. I’m so happy to see Drum Dream Girl included! Also, thank you for these recommendations. I found gems to add to my summer reading pleasure. Drum Dream Girl is a runaway favorite, Margarita! And wouldn’t you love to see a puppet play based on one of your books? That’s what Cecilia Cackley does.